I'm usually looking for a clean, well located place. I think this hostel fits the description. There's well equipped kitchen, a terrace, good wi-fi. It was perfect to me. 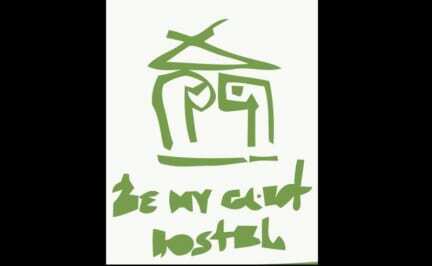 Superb hostel at an excellent location. Friendly staff, beautiful terrace. I was guided to book because of accurate reviews, so the least I can do is also advice prospective visitors without any shadow of doubt!!! Host was lovely and location is perfect. Lovely terrace and pretty street right in the centre. 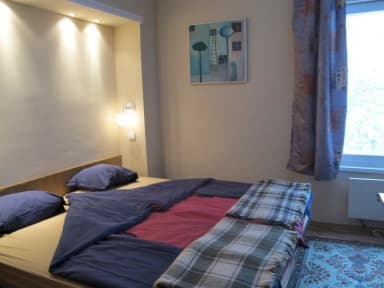 We only stayed one night in Sofia and Be My Guest proved to be very suitable - more a cosy homestay than a hostel with friendly owner and nice decor. Shared spaces including terraces, kitchen and shared bathroom were spotless. Easy walk to all the sights and the metro. Only concerns were the noise from car park out front during the night, and maybe the security was a little lax (most doors did not have locks). Did not like people out smoking on the verandah, where you could also sit and eat. If the door was left open then smoke would drift into the kitchen area. Staff was very friendly and helpful. Located perfectly. Beds and pillows are a bit spartan in the mixed dorm, even for a hostel. The dorm is essentially a converted loft with 5 single beds, and you couldn't close the loft 'door' unless all 5 of you are in which is annoying as people downstairs may be quite loud. Also the bathroom attached to the loft is questionable - very little space to shower so I used the downstairs one exclusively. The lady who checked me in told me the wrong WiFi password and then told me the Aircon was broken. I assume she was new because other host gave me the right information. Good staff but my bed did not have plug sockets and bedside light.